There’s been a number of incidents where Amazon’s Alexa digital assistant has done things like misinterpret something it overheard and started sending random people recordings of private conversations, or audio files kept by the company wound up in the wrong hands. But a real-life stranger could potentially be listening to anything you tell Alexa by design, per a report in Bloomberg on Wednesday. According to Bloomberg’s report, Amazon employs “thousands” of people across the world tasked with improving Alexa’s voice-recognition features. This team has access to voice recordings from real customers using Alexa-powered devices in their homes and workplaces (only Echo speakers are directly mentioned in the report, though Alexa also runs on mobile phones and numerous third-party devices). Those recordings are “transcribed, annotated and then fed back into the software,” Bloomberg wrote, as part of an effort to continue improving Alexa’s ability to recognize speech without human intervention. One worker in Boston said he mined accumulated voice data for specific utterances such as “Taylor Swift” and annotated them to indicate the searcher meant the musical artist. Occasionally the listeners pick up things Echo owners likely would rather stay private: a woman singing badly off key in the shower, say, or a child screaming for help. The teams use internal chat rooms to share files when they need help parsing a muddled word—or come across an amusing recording. However, on other occasions workers have heard what they thought were crimes, including what they believed to be a sexual assault. Amazon told workers in Romania that it is not the company’s job to intervene, Bloomberg wrote. 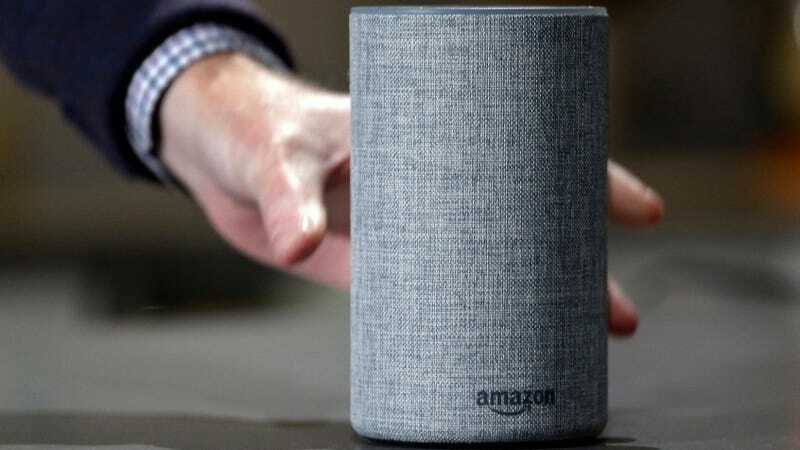 Others told the news agency that each auditor may encounter as many as 100 recordings a day in which Alexa does not appear to have been deliberately activated by a user with a wake word or command (such as pressing a button). According to Bloomberg, an Apple white paper says its Siri voice assistant only enlists humans to analyze recordings that “lack personally identifiable information and are stored for six months tied to a random identifier,” though the recordings may later be stripped of random IDs for long-term storage. Google’s auditors can only access audio that has been distorted.